Ed. Note- The National Hurricane Center is offering free emailed text advisories of daily tropical forecasts for the North Atlantic and Pacific waters in English and Spanish that appear just as they do on the daily updated pages of the NHC site. This service offers the opportunity to receive hurricane advisory communication at a resonable enough cost to be used by any mariner at home and/or at sea. 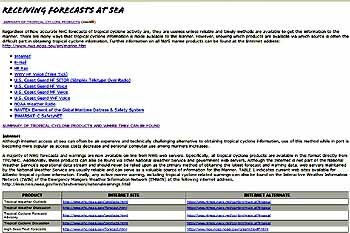 New this year are links to the NHC Virtual Tour to see just where all this storm info comes from and a page titled "Receiving Forecasts at Sea" that provides all the methods for getting marine storm forcasts at sea, an excellent resource for any expedition yacht. 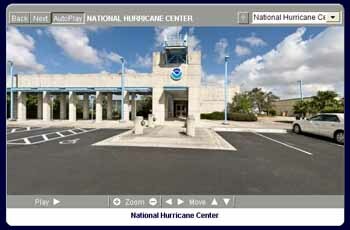 Tropical Cyclone text products released by the NHC are available by email. The form allows you to subscribe and unsubscribe to any of the ten lists currently offered. 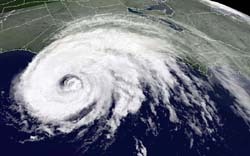 The lists are arranged by region (Atlantic and E. Pacific), with the choice of receiving just the Public Advisories and any updates or position estimates, along with the Tropical Weather Outlook, just the Forecast/Advisories and any updates or position estimates, along with the Tropical Weather Outlook, or you can opt for the full suite of Tropical Cyclone advisories and the Tropical Weather Outlook. Please Note: This is an experimental service. Interruptions or duplications in email deliveries while we develop the system are to be expected. Notices will be sent if any extended interruptions are encountered. IMPORTANT NOTICE: We are currently accepting subscriptions to the advisory email lists, but we ask you to only subscribe to the lists you absolutely "must have". Because our resources are limited, we have had to limit the number of new subscribers and number of messages being sent. When a "forecast package" is released, it can generate 250,000+ emails and we want to facilitate timely delivery to all subscribers. If we must impose future limits, a notice will be posted to this page. Disclaimer: This server may not be available 24 hours a day, seven days a week. Timely delivery of data and products from this server through the Internet is not guaranteed. Please read the full Disclaimer for more information. Privacy: You must provide a valid email address to subscribe to the service. The server will reply to the address given to verify that the address is valid. The email address is stored on the server only as long as you are subscribed to the service. Please read the NHC/TPC Privacy Statement for full details on information gathered by the website. Please note that there is overlap in the lists, so that, for example, subscribing to both the FULL and PUBLIC ADVISORIES ONLY lists for the same region will generate some duplicate email notices. It is suggested that you subscribe to only one list per region and possibly the Outlook list for that region if you wish to receive all of the Tropical Weather Outlooks as well. Important Note: the Atlantic Full list receives a large amount of mail per day when one or more tropical cyclones are active in the Atlantic. For most users the Atlantic (Public Advisories and updates ONLY) list is probably adequate. Please go to the link below for more information and to sign up for the advisories.